The thing about being both a rescue dog and a herding dog, is that you’ve already lost your herd once at least, and you sure need to stay on top of things with every ounce of your ability, because it would be the worst possible thing to fail at this job you were born to do. It’s a big responsibility. ← Calming Signals: Are You Listening? 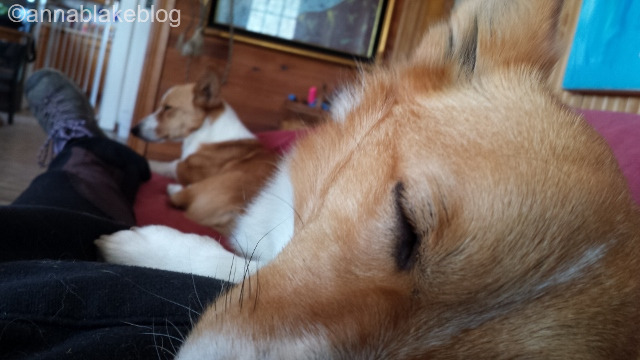 Those herding dogs … gotta love ’em! Arf! Makes me want to reach out and scratch his head! I think it is a PERFECT picture! What good herding dogs you have… they have you right where they want you!